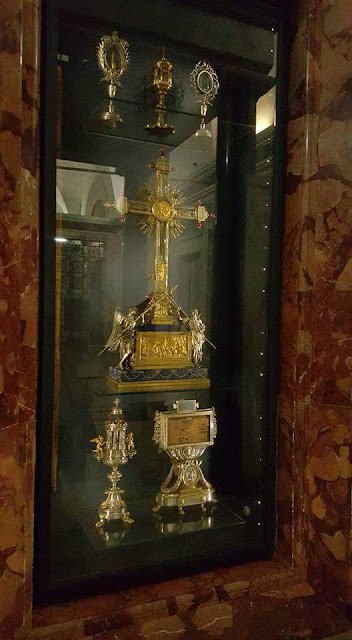 At Milan, the passion of St. Peter, a martyr belonging to the Order of Preachers, who was slain by the heretics for his Catholic faith. His feast, however, is kept on the 29th of April. O Almighty God, may we pay honor to the faith of Your blessed martyr Peter with fitting devotion, for this saint was found worthy of the triumph of martyrdom in spreading the faith. Through Our Lord Jesus Christ . . . Yet, there is more to this saint's life than the Martyrology declares. Did you know that it was St. Peter Canisius who added the words “Holy Mary Mother of God pray for us sinners now and at the hour of our death” to the Ave Maria Prayer? 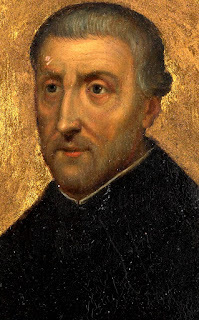 "St. Peter Canisius lived from 1521 to 1597 and greatly aided the Church at the Council of Trent amid the unprecedented assault by the protestants. 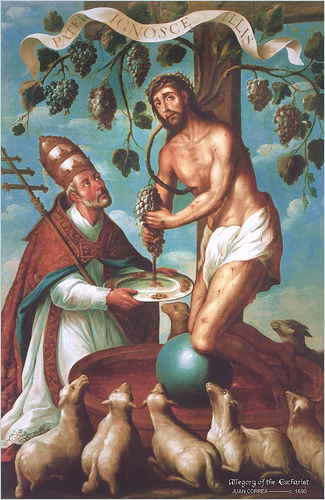 Because of Peter’s long labors in Germany to fight the tide of Protestantism, Peter is often called the “Second Apostle to Germany” after Saint Boniface. Peter started schools and universities, reformed parishes, converted Protestants, and served the infirmed and imprisoned. This doctor of the church is often called the second Apostle of Germany. Both Holland and Germany claim him as their son, for Nijmegen, where he was born, May 8th, 1521, though a Dutch town today, was at that time in the ecclesiastical province of Cologne and had the rights of a German city. His father, a Catholic and nine times burgomaster of Nijmegen, sent him at the age of fifteen to the University of Cologne, where he met the saintly young priest, Nicolaus van Esch. It was he who drew Canisius into the orbit of the loyal Catholic party in Cologne, which had been formed in opposition to the archbishop, Hermann von Wied, who had secretly gone over to the Lutherans. Canisius was chosen by the group to approach the emperor, and the deposition of the archbishop which followed averted a calamity from the Catholic Rhineland. Shortly afterwards Peter Canisius met Bd. Peter Faber, one of the first companions of St Ignatius, and made the under his direction. During this retreat he found the answer to the question he had put to himself: how best could he serve God and assist the stricken Catholic church in Germany? He was inspired to join the Society of Jesus, and, after his ordination in 1546, soon became known by his editions of works of St Cyril of Alexandria and of St Leo the Great. In 1547 he attended the council of Trent as procurator for the bishop of Augsburg, where he became still further imbued with the spirit of the Catholic Counter-Reformation. His obedience was tested when he was sent by St Ignatius to teach rhetoric in the comparative obscurity of the new Jesuit college at Messina, but this interlude in his public work for the church was but a brief one. Recalled to Rome in 1549 to make his final profession, he was entrusted with what was to become his life's work: the mission to Germany. At the request of the duke of Bavaria, Canisius was chosen with two other Jesuits to profess theology in the University of Ingolstadt. Soon he was appointed rector of the University, and then, through the intervention of King Ferdinand of the Romans, he was sent to do the same kind of work in the University of Vienna. His success was such that the king tried to have him appointed to the archbishopric. Though he refused this dignity, he was compelled to administer the diocese for the space of a year. It was at this period, 1555, that he issued his famous , one of his greatest services to the church. With its clear and popular exposition of Catholic doctrine it met the need of the day, and was to counter the devastating effect of Luther's . In its enlarged form it went into more than four hundred editions by the end of the seventeenth century and was translated into fifteen languages. 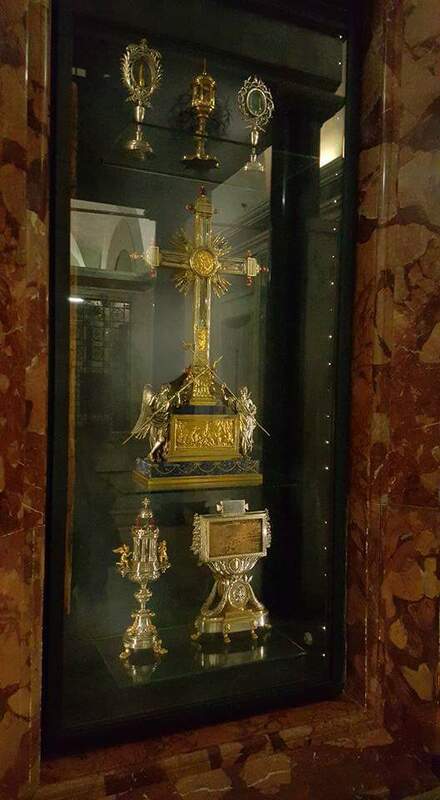 From Vienna Canisius passed on to Bohemia, where the condition of the church was desperate. In the face of determined opposition he established a college at Prague which was to develop into a university. Named Provincial of southern Germany in 1556, he established colleges for boys in six cities, and set himself to the task of providing Germany with a supply of well-trained priests. This he did by his work for the establishment of seminaries, and by sending regular reinforcements of young men to be trained in Rome. On his many journeys in Germany St Peter Canisius never ceased from preaching the word of God. He often encountered apathy or hostility at first, but as his zeal and learning were so manifest great crowds soon thronged the churches to listen. For seven years he was official preacher in the cathedral of Augsburg, and is regarded m a special way as the apostle of that city. Whenever he came across a country church deprived of its pastor he would halt there to preach and to administer the sacraments. It seemed impossible to exhaust him: 'If you have too much to do, with God's help you will find time to do it all,' he said, when someone accused him of overworking himself. Another form of his apostolate was letter writing, and the printed volumes of his correspondence cover more than eight thousand pages. Like St Bernard of Clairvaux he used this means of comforting, rebuking and counselling all ranks of society. As the needs of the church or the individual required, he wrote to pope and emperor, to bishops and princes, to ordinary priests and laymen. Where letters would not suffice he brought to bear his great powers of personal influence. Thus at the conference between Catholics and Protestants held at Worms in 1556, it was due to his influence that the Catholics were able to present a united front and resist Protestant invitations to compromise on points of principle. In Poland in 1558 he checked an incipient threat to the traditional faith of the country; and in the same year, he earned the thanks of Pope Pius IV for his diplomatic skill in healing a breach between the pope and the emperor. This gift of dealing with men led to his being entrusted in 1561 with the promulgation in Germany of the decrees of the council of Trent. Shortly afterwards he was called on to answer the of Magdeburg. This work, 'the first and worst of all Protestant church histories', was a large-scale attack on the Catholic church, and its enormous distortions of history would have required more than one man to produce an adequate answer. Yet Peter Canisius showed the way by his two works, , and . From 1580 until his death in 1597 he labored and suffered much in Switzerland. His last six years were spent in patient endurance and long hours of prayer in the college of Fribourg, now that broken health had made further active work impossible. Soon after his death, December 21st, 1597, his tomb began to be venerated, and numerous miracles were attributed to his intercession, He had the unique honor of being canonized and declared a doctor of the church on the same day, June 21st, 1925. O God, You made the blessed confessor Peter a bulwark of virtue and learning in the defense of the Catholic Faith. May his example and teaching lead the erring back to the path of salvation and strengthen the faithful in bearing witness to the truth. Through Our Lord . . . This year, the traditional devotion of 15 Tuesdays in honor of St. Dominic begins tomorrow on Tuesday, April 26th. As a postulant in Order of Preachers, this devotion is especially dear to me. Next month I will be received as a tertiary into the Dominican 3rd Order. The tradition of dedicating Tuesdays to Our Holy Father St. Dominic takes its origins right from the beginnings of the Order. 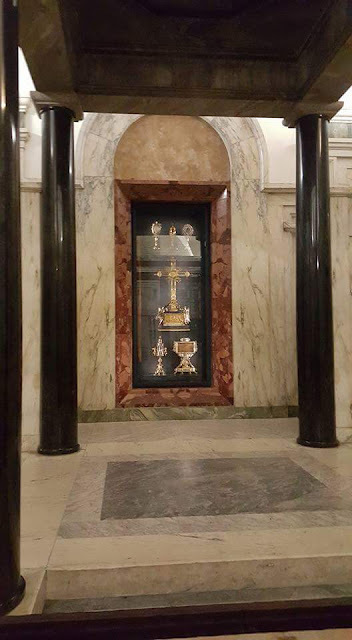 The first translations of the relics of our holy Patriarch took place on Whit-Tuesday (May 24) in the year 1233 at Bologna. 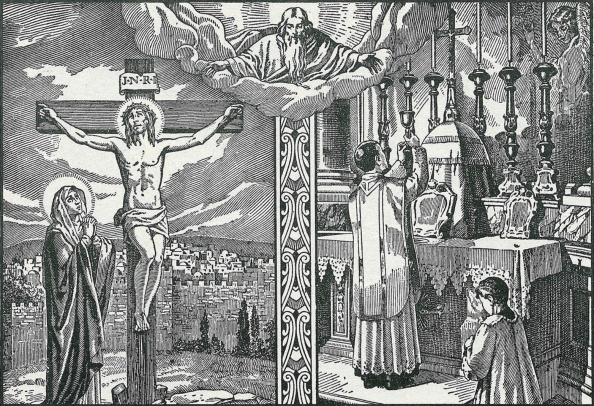 Successive Chapters from 1239 to 1282 introduced various liturgical practices into the rubrics of the Mass and Office of the Order, as a means of fostering devotion to him. This process culminated in the act of the Chapter of 1362, which introduced the practice of dedicating the 3rd day of the week (Tuesday) to the holy Patriarch. From this point forward, on every Tuesday outside of Lent, the Mass of the day was to be his Mass, with a commemoration of him in the Office. The specific practice of the Devotion of the 15 Tuesdays was instituted in Florence in the year 1631. During an occurrence of the plague that year, a Fr. 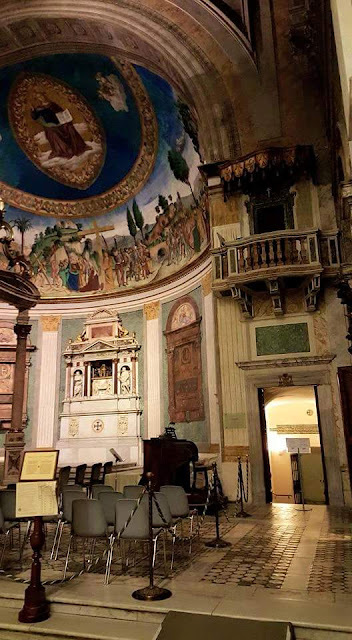 Michael Bruni, of the Dominican monastery of Santa Maria Novella, exhorted the faithful to pray to St. Dominic, and promise to receive on Communion on 15 consecutive Tuesdays, presumably in honor of the 15 decades of the Rosary. The success of this effort led to a rapid spread of the 15 Tuesdays devotion. Pope Pius VII granted an indulgence for those who availed themselves of the pious practice in honor of St. Dominic. Thus, to aid us in honoring St. Dominic for the next 15 Tuesdays, here are some prayers that we may say on those days. Also of note, we should read meditations on the life of St. Dominic and better strive to follow his example of spreading the Faith to those souls who are presently outside of the Church and thus currently outside of the only means of salvation. I. O glorious Saint Dominic, thou who was a model of mortification and purity, by punishing thy innocent body with scourges, with fastings and with watchings, and by keeping inviolate the lily of thy virginity, obtain for us the grace to practice penance with a generous heart and to keep unspotted the purity of our bodies and our hearts. II. O great Saint, who, inflamed with divine love, did find thy delight in prayer and intimate union with God; obtain for us to be faithful in our daily prayers, to love Our Lord ardently, and to observe His commandments with ever increasing fidelity. III. O glorious Saint Dominic, who being filled with zeal for the salvation of souls, did preach the Gospel in season and out of season and did establish the Order of Friars Preachers to labor for the conversion of heretics and poor sinners, pray thou to God for us, that He may grant us to love all our brethren sincerely and to cooperate always, by our prayers and good works, in their sanctification and eternal salvation. 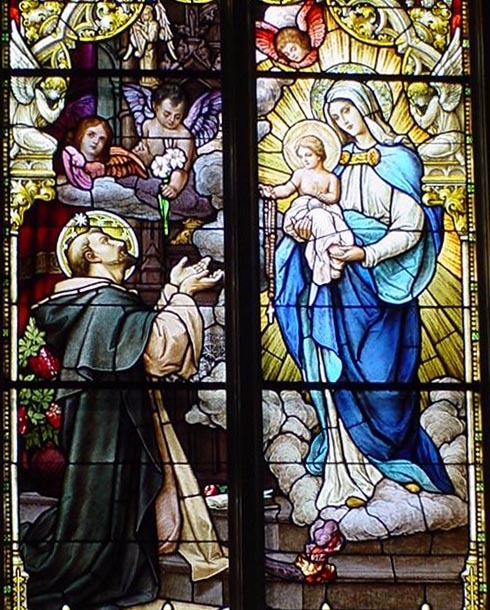 Grant, we beseech Thee, Almighty God, that we who are weighed down by the burden of our sins may be raised up by the patronage of blessed Dominic Thy confessor. Through Christ our Lord. Amen. O holy priest of God and glorious Patriarch, Saint Dominic , you who was the friend, the well– beloved son and the confidant of the Queen of Heaven, and did work so many miracles by the power of the holy Rosary; and thou, Saint Catherine of Siena, first daughters of this Order of the Rosary, and powerful mediator at Mary’s throne with the Heart of Jesus, with whom Thou did exchange Thine Heart; do you, my beloved saints, have regard to my necessities and pity the sad condition in which I now find myself. On earth you opened your hearts to the miseries of your fellow-man and your hands were strong to help them; now in heaven your charity has not grown less nor has your power waned. 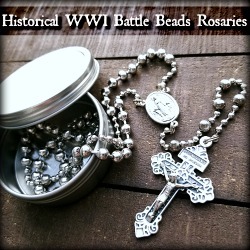 Pray, ah, pray for me to the mother of the Rosary and to her Divine Son, for I have great confidence that through assistance I shall obtain the favor I so much desire. Amen. Glory Be , etc., three times. In honor of Saint Vincent Ferror, Glory Be, etc. In Honor of Saint Thomas Aquinas, Glory Be, etc. Wonderful Saintly Founder of the eloquent Order of Preachers and friend of Saint Francis of Assisi, you were a fiery defender of the Faith and a fighter against the darkness of heresy. You resembled a great star that shone close to the world and pointed to the Light which was Christ. Help astronomers to study the stars and admire their wonderful Maker, proclaiming: "Give glory to God in the highest." Amen. God of Truth you gave your church a new light in the life and preaching of our Father Dominic. Give us the help we need to support our preaching by holy and simple lives. We ask this through our Lord Jesus Christ, your Son, who lives and reigns with you and the Holy Ghost, God, forever and ever. Amen. At Gruch in Switzerland, St. Fidelis of Sigmaringen, priest and martyr, of the Order of Friars Minor Capuchin. He was sent there to preach the Catholic faith, but was put to death by the heretics. He was numbered among the holy martyrs by the Sovereign Pontiff, Benedict XIV. St. Fidelis was born in Sigmaringen, Germany in 1577 as Mark Rey. A lawyer by professor, Mark traveled much across Europe as a tutor to various aristocractic families before starting on a project to defend the poor. In 1612, he became a Franciscan Capuchin monk and took the name Fidelis. 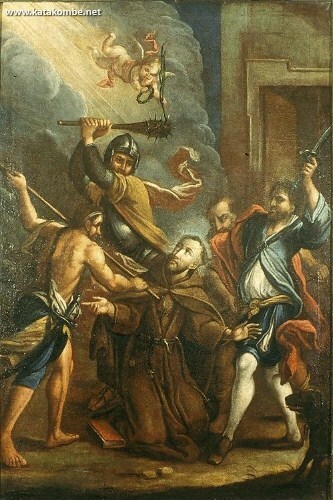 St. Fidelis served as a missionary to Grisons, Switzerland and had so much success that the protestants claimed he was a spy for the Austrian emperor. He was stabbed to death in a church by a group of protestant heretics. He died with the final words, "Lord, forgive my enemies." He was canonized by Pope Benedict XIV in 1746. O God, You set the heart of Fidelis on fire with a seraphic love, and granted him both the triumph of martyrdom and the gift of miracles in preaching the true faith. May his merits and prayers make us strong in faith and love, so that by Your grace we may be faithful in Your service until death. Through Our Lord . . .
Who was the real St. George? 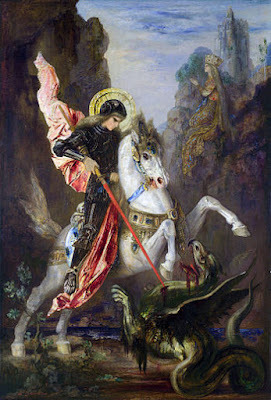 When St. George is mentioned, what often comes to mind is the image of the dragon slaying knight. But St. George's impact extends far beyond the tale of "dragon slayer." Many of the Christians in the Middle East in modern day Jordan are named George after this holy saint. Are they named after a fictional knight or is St. George real? The Church asserts that St. George was a real person and his feast is celebrated on April 23rd. George from an illustrious family, was a Cappadocian who who fought in the Roman army during the third century. He rebuked Diocletian when that ruler began to persecute the Christians, and was in consequence tortured and beheaded. The brave and defiant cheerfulness of the young officer during his torture was so great an inspiration to Christians of succeeding centuries that both the East and the West surrounded his bright figure with clusters of beautiful legends. St. George is the patron of England, and Christian soldiers. He was especially venerated in Christian Russia. St. George lived in the early centuries of Christianity and died in c. 303 AD. Born into an illustrious family, St. George was a Cappadocian who fought in the Roman army. While Emperor Diocletian began to persecute the Christians in 303 AD, St. George rebuked the Emperor. Despite the Emperor's friendship with George's father, he spared not his cruelty from St. George. For his "crime," St. George was tortured by laceration on a wheel of swords and was ultimately beheaded. This all came after many attempts by the Emperor to George to simply sacrifice to the Roman gods and receive his life, wealth, and fame in the process. St. George remained steadfast in worshiping the only True God. On April 23, 303 AD, St. George was decapitated. He was buried in Lydda and honored by Christians as a martyr. His cheerfulness and acceptance of suffering for the sake of Christ while being tortured served as a great inspiration for Christians in many lands for centuries to come. St. George is the patron saint of England and Christian soldiers. In Russia, he is especially venerated as well. Thus, we see in St. George far more than a "Dragon slayer" - we see an example of final perseverance and the ability to preserve in the midst of the greatest difficulties. Also of note, St. George is revered by both Christians and Muslims - one of the few saints to hold such a place. So what is his connection with the dragon? Click here to read the fascinating story. O God, the merits and prayers of Your blesses martyr George are a source of happiness for us. Grant us as a gift of grace the blessings we seek through him. Through Our Lord . . .
Pope St. Soter succeed Pope St. Anicetus as the head of the Holy Catholic Church in 167 and served as the Vicar of Christ until his martyrdom in 175 AD. Besides this, little is known of St. Soter's life. St. Caius served as the holy pontiff from December 17, 283, until April 22, 296. As the Liberian catalog succinctly states, "He is mentioned in the fourth-century "Depositio Episcoporum" (therefore not as a martyr): X kl maii Caii in Callisti. He was buried in the chapel of the popes in that cemetery. Nothing whatever is known of his life. He lived in the time of peace before the last great persecution." Like all the Vicars of Christ in the first centuries, St. Soter and St. Caius were constant in uniting their sufferings to those of the Divine Redeemer and "in Him bore much fruit". Since the 10th century, whenever Good Friday falls on March 25th, the Church celebrates the Jubilee of Forgiveness of Our lady of Le Puy, also called Our Lady of the Annunciation. Several popes in succession have confirmed this as a time of grace. This year, the feast of the Annunciation fell on Good Friday and was transferred to April 4, the first available date after Easter. From April 9 - 10 Bishop Bernard Fellay, Superior General of the Society of St. Pius X, and fellow pilgrims went on a pilgrimage to the picturesque town of Le Puy-en-Velay in central France. 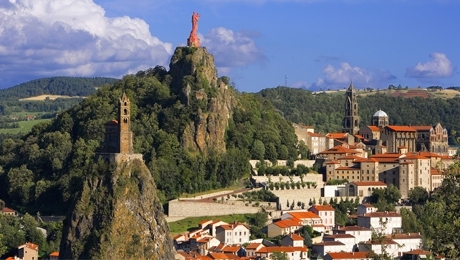 The town, perched in the midst of Massif Central Mountains, contains many notable monuments including the Cathedral of Notre-Dame du Puy (dedicated to Our Lady of the Annunciation), the statue of Our Lady of France, and the chapel of St. Michael of Aiguilhe. The ­­­town dates from the 4th century when a chapel was erected and blessed by the angels. It became the Episcopal See during the 6th century. The pilgrimage itself came much later, at the turn of the millenium, when wild imaginations flared up about the end of the world. In 992 the feast of the Annunciation coincided with Good Friday and rumor had it that it was a sign of the end times. Pilgrims from far and wide flocked to the church of Le Puy and invoked the protection of the Mother of God who had previously granted many blessings and miracles. This initial movement gave rise to the bishop granting a Great Pardon on all future years when the same occurrence would take place. This year, 2016, is one of these very rare occasions. It is interesting to note that in 1095 Pope Urban II preached the first Crusade at the Cathedral at Le Puy, as well as at the church of Vezelay. In 1096, within its walls, the Salve Regina resounded for the first time from the lips of Adhémar, the bishop of Le Puy, who was the Pontifical Legate of the first Crusade. The cathedral has also been a rallying point of many petitions of saints. St. Joan of Arc’s parents went there imploring Mary’s assistance for Joan’s mission. Mr. Olier, the founder of the Sulpicians, discovered his vocation here and inspired one of his followers, St. Louis de Montfort, in his total consecration to the Virgin. This year marks the 300th anniversary of St. Louis’s death (1673-1716). It was here that the Pope requested urgently the recitation of the midday Angelus for the conversion of the Muslims, who at that time were at the gates of Vienna. Why the Angelus? Because it is the appropriate remedy to that pernicious doctrine of a God so unique in His being that He is only one as a Person, and not the Holy Trinity, Whose second Person, the Son, became incarnate in the Virgin’s womb. And God knows that, today, the Muslim peril has long passed the city gates and is threatening the citadel. May Our Lady of the Annunciation obtain the conversion of the infidels to Her divine Son. "No one will have any other desire in heaven than what God wills; and the desire of one will be the desire of all; and the desire of all and of each one will also be the desire of God" (St. Anselm, Letter 112). As the Roman Marytrology states of him: "At Canterbury, England, St. Anselm, bishop, confessor, and doctor of the Church, renowned for sanctity and learning." In a great example to modern men, St. Anselm shows us all the path to repentance. Despite being indifferent toward religion at a young age, by age 15 St. Anselm wanted to enter a monastery. He was refused though due to the strong resistance from his father. And so ensued years of worldly living and disregard for the Faith. Then twelve years later, he returned to his earlier desire to be a monk and entered the monastery of Bec in Normandy. Three short years later he was elected prior and 15 years afterwards he became the abbot by unanimous consent. 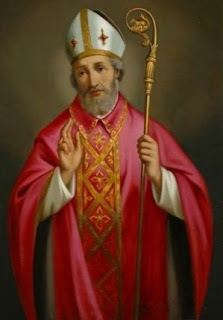 Despite an early life that was wasted, St. Anselm would go on to receive the title "Father of Scholasticism" and earn the reputation for sanctity and learning. As a monk, St. Anselm was admired for his skill in teaching and the virtue of patience. Through his leadership, the monastery of Bec became an influential center of learning and theology. One of St. Anselm's greatest works was Cur Deus Homo (Why God Became Man). Please consider reading more on St. Anselm's doctrine of the Atonement as well as a philosophical analysis of the soundness of his ontological argument to better understand his work and the lasting impact of his writings. At the age of 60, St. Anselm was appointed as the Archbishop of Canterbury in the year 1093; however, King William Rufus refused to cooperate in Anselm's reform of the Church. St. Anselm fled into voluntary exile and returned in 1100 upon the death of King Rufus. Rufus' brother, Henry I, became king and Anselm spent another three years in exile after their un-reconcilable differences regarding the investiture of England's bishops. As the kings encroached more and more on the matters under the jurisdiction of the Church, St. Anselm suffered much in defense of Holy Mother Church. St. Anselm also worked strongly against the slavery trade and for the protection of the poorest of people. He obtained from Westminster a resolution prohibiting the sale of human beings. St. Anselm died in the year 1109 AD. He is a Doctor of the Church. O God, may blessed Anselm intercede for us in heaven as he once instructed Your faithful on earth and directed them in the way of eternal salvation. Through Our Lord . . .
For each Mass we hear with devotion, Our Lord sends a saint to comfort us at death (Revelation of Christ to St. Gertrude the Great). St Padre Pio, the stigmatic priest, said, the world could exist more easily without the sun than without the Mass. The Cure' d' Ars, St. Jean Vianney said, if we knew the value of the Mass we would die of joy. 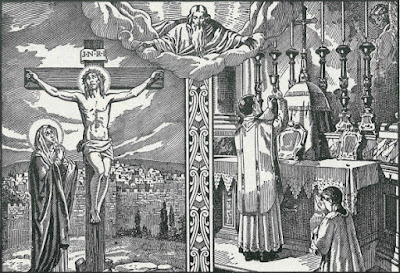 "The Holy Mass would be of greater profit if people had it offered in their lifetime, rather than having it celebrated for the relief of their souls after death." (Pope Benedict XV). Once, St. Teresa was overwhelmed with God's Goodness and asked Our Lord, "How can I thank you?" Our Lord replied, "ATTEND ONE MASS." 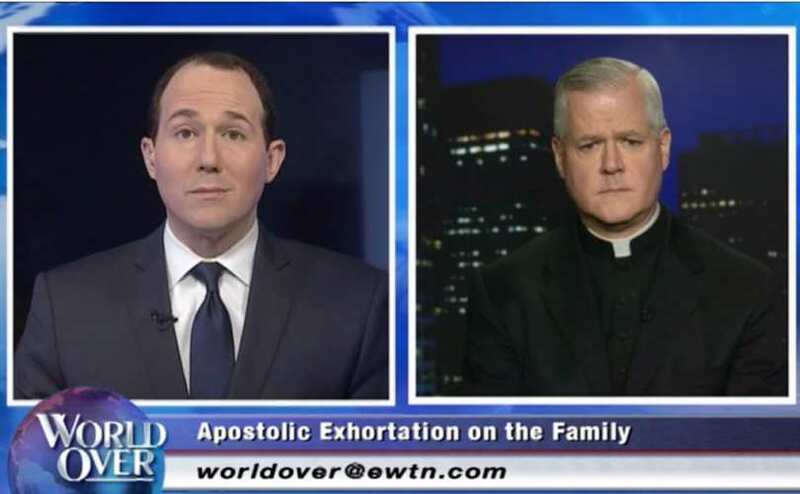 On EWTN’s April 14, World Over Live program hosted by Raymond Arroyo, canon law expert Fr. Gerald Murray and Robert Royal, Catholic author and president of the Faith and Reason Institute, expressed serious concerns over Pope Francis’ Apostolic Exhortation Amoris Laetita, and sympathized with concerns that many Catholics are having about the "problematic" parts of the document. For example, in Paragraph 3, Francis says that "not all discussions of doctrinal, moral or pastoral issues need to be settled by interventions of the Magisterium... Each country or region, moreover, can seek solutions better suited to its culture and sensitive to its traditions and local needs." In other words, each country or region can decide for itself which doctrines, laws, and disciplines it will adopt according to the whims of the people. This disagrees with tradition. The Church is universal so that its laws and teachings apply equally in all places and in every age. It is man that must change to conform to God, but God never changes. His unchanging doctrine and rule of law constitute the highest good for all peoples, so that any altering of the rule shows insensitivity and negligence, and contributes to the detriment of the people. If we have a church today that is divided, confused, and out of grace, it is precisely because of this relaxation of the rule. Catering to the people and allowing secular influence into the Church is the plan of the Freemasons to destroy the Catholic Church. It all started at Vatican II with the introduction of cultural diversity, i.e. 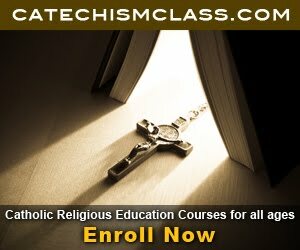 changes of discipline, introduction of vernacular, where "active participation of the faithful" now became the focus. For example, in Article 37 of the Concilium it states that "the Church has no wish to impose a rigid uniformity" but rather "respects the genius and talents of the various races and peoples" and even studies with sympathy "these people's way of life," so that "she admits such things into the liturgy itself." The end result today is a Church divided, and a general falling away from God. Note that the Church before the Council was united and whole. It was unthinkable that the Church would even consider giving Communion to those living in adultery, but now the Church sanctions this in defiance of it's own teachings. Amoris Laetitia permits some divorced and civilly remarried Catholics to receive Communion with no stipulation to live as brother and sister. (Paragraph 300, note 336) Footnote 351 to Article 305 explicitly states that the "help" offered by the Church to those living in adultery can "in certain cases... include the help of the sacraments." That is, the Church helps adulterers by giving them Communion. This not only breaks with the Church's centuries old discipline on the reception of Communion, but constitutes a change of doctrine, since altering the discipline now proclaims to the Church that adultery is no longer a mortal sin. The pope in Amoris Laetita says that the Eucharist "is not a reward for the perfect," so who then are the beneficiaries of this reward? The Eucharist is a reward, not for the perfect, but for those striving to "be perfect, as also your heavenly father is perfect." (Mt. 5:48) It is divine medicine for the contrite, and must be merited. It is not a formality for the casual, the lukewarm, and the ungrateful. According to the Apostle, the reception of the Holy Eucharist by such persons is a sacrilege, and works to their condemnation. (1 Corinthians 11:27-29) What manner of insanity is this that benched Catholics are now permitted to approach the Eucharist while their souls are degraded with sin of a mortal nature? Is Rome deliberately attempting to send these souls to Hell? Where is the mercy, Your Holiness? Your mission is to admonish and instruct souls about the proper reception of Communion, not to Protestantize them. We pray that Pope Francis will repose confidence in the tradition of the Apostles that was passed on by his predecessors of the Petrine Office. And we pray he not listen to the rebellious spirits loosed "in the high places." (Ephesians 6:12) To long has Kasper the unfriendly ghost been haunting the Church with his weird ideas, too long have the spooks of modernism been springing their surprises on the faithful. We don't need these "gods of surprises," but we need the One True God Who never surprises His people with respect to how we are to approach Him in the Blessed Sacrament. If the Church today is in darkness, it is because the sins of the church are standing between God and his people, courtesy of our high clergy that make no effort to cure the flock of this moral leprosy. Pope Francis is not happy with his good bishops. For the past several months he has showed irritation toward Vatican conservatives who oppose his synodal proposals that we show more openness to homosexuals and civilly remarried Catholics. It seems he has been on a rant by constantly lashing out against traditional cardinals whom he compares to the "doctors of the law" that "are closed to the prophecies and the lives of persons," though he does this indirectly through little digs that surface in his homilies. His morning homily at the Vatican Casa Santa Marta on April 11 was no exception to this. Therein he defended Judas as the "poor man," while lamenting that "the doctors of the letter" had no compassion on him. "It hurts when I read that small passage from the Gospel of Matthew, when Judas, who has repented, goes to the priests and says: ‘I have sinned' and wants to give... and gives them the coins. ‘Who cares! - they say to him: it’s none of our business!’ They closed their hearts before this poor, repentant man." First of all, it's important to note that there was no contrition in Judas' repentance. Were it otherwise, he would have gone directly to Jesus and apologized to him. He rather went and hung himself with a halter, which was an act of final impenitence—a mortal sin. Revelation has it that he is now one of the demons of Hell who tempt the faithful on earth, something God would never permit had he truly been innocent and contrite. One cannot help to note, too, how Francis laments so deeply the hardness of heart wherewith the high priests behaved toward Judas, yet he says nothing of the cruelty and hardness that they demonstrated toward the Son of God whom they were about to kill. Where in the Church's history was it said or taught that the high priests were evil because they were mean to Judas? As expected, Amoris Laetitia breaks with 2000 years of tradition by permitting some divorced and civilly remarried Catholics to receive Communion with no stipulation to live as brother and sister. (Paragraph 300, note 336) Footnote 351 to Article 305 explicitly states that the "help" offered by the Church to those living in adultery can "in certain cases... include the help of the sacraments." That is, the Church helps adulterers by giving them Communion. From the onset the pope's focus was never about admitting Communion to gays and adulterers, but about integration. The "liturgical, educational, pastoral, and institutional" roles advocated by the October 2015 Synod were outlined by the pope two years ago, as we read in the Dec. 8, 2014 issue of CNS: "Pope Francis said that the Catholic Church must consider various ways to integrate the divorced and civilly remarried in the life of the church—not merely allowing them to receive Communion, but letting them serve as Eucharistic ministers and godparents." These attempts are futile. The path to integration has already been laid out through holy tradition. Those living in sin simply need to renounce their lifestyle and partner, and go to confession, so that their integration will be complete. Now they can be reinstated into the Church and even receive Communion, so that the Eucharist will now help them, and not condemn them as St. Paul warns. But allowing irregular couples into the Church as they are only sustains their offense, so that they remain separated from God and unable to be saved should they die without repentance. It deceives them, and deceives the faithful, which is no charity. True charity means converting the wayward, that they might leave their unhappy state and be joined with Christ in His Church, but Francis sees this as an imposition. Jesus cleansed the lepers that they might be liberated from their affliction, yet Francis leaves the morally afflicted in their leprosy to suffer, and then calls it love and mercy. Love is in the faithful keeping of God's laws, as expressed by Christ: "If you love me, keep my commandments." (John 14:15) Yet, Francis expresses irritation over tradition-minded Catholics who faithfully keep the law, comparing them to the hypocritical Pharisees and high priests who followed the law to "the letter." Let us not forget that the Pharisees were not the teachers of the law, but were apostates that had completely left the Jewish law, evidenced by their sorcery, their child abuse, and their murder of the Messiah who gave them the law. The Pharisees never obeyed God's law, but only pretended to. It was their pretense and hypocrisy that irked Our Lord. Alluding to our traditional bishops, the pope on April 11 spoke of these callous high priests, saying that all that mattered to them "were the laws, so many words and things they had built." What is implied is that the holy doctrines and traditions of the Catholic Faith are just "traditions of men" which today's Pharisaic conservatives have built up for themselves. 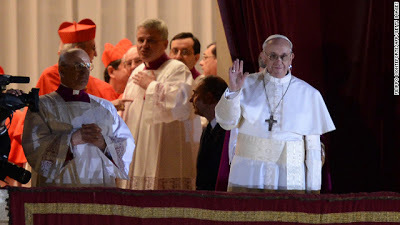 Has Francis not considered that he is the Pharisee persecuting these holy men? The pope said: "History tells us of many people who were judged and killed, although they were innocent: [were] judged according to the Word of God, against the Word of God. Let’s think of witch hunts or of St. Joan of Arc, and of many others who were burnt to death, condemned because according to the judges they were not in line with the Word of God." Francis seems to think that the Cardinal Burkes and good bishops are the "judges" who persecute the innocent—whom he holds to be the poor gays, Judases, and adulterers—because they don't adhere to their own "stiff-necked" version of the Word of God. He overlooks the fact that all the martyrs through the centuries, and without exception, were the staunch Catholics who adhered strictly to the laws, doctrines, and tradition of the Faith, so much so, that they chose to die rather than compromise one point of tradition. We speak of those tough and holy bishops, virgins, hermits, and fighters for Heaven who absolutely refused to change with the times. This is why they were saints. Francis has forgotten that in every case, without exception, it was the left-wing dissident Catholics, heretics, Marxists, infidels, adulterers, homosexuals, i.e. the enemies of tradition, that inflicted this persecution upon the Catholics. This persecution has now reached unprecedented heights. We've seen the replay of the Crucifixion; now we need a replay of Damascus. Jesus cries out today, saying, "Francis, Francis, why do you persecute me?" We pray he will open his heart and recognize who his true friends are—the Bishop Schneiders, Cardinal Burkes, and Cardinal Sarahs—that he may open his eyes and see their genuine love for God's people, evidenced by their tireless efforts to bring the pure waters of tradition to the thirsting flock. May Francis do likewise. May he open his eyes and understand that if he loves souls, he will labor with all his will to bestow on the people the treasures of the Catholic Faith in all its facets—the knowledge of Heaven, the saints, the mystics, the miracles, the dogmas, the laws, the Tridentine Mass—that they be enriched and edified like no other people on earth. And may he likewise deign to reach out and extend the beauties of the Faith to all peoples, that they may leave their particular ideas, miseries, idols, and religions, and be joined with Christ in the bosom of His Church. The jewels of sacred tradition were not to be hoarded, but shared. What greater mercy can the pope show for poor sinners than by enriching them with the glories of the One True Faith! Jesus said to Peter, "Simon, son of John, do you love me?" Peter answered, "You know that I love thee." Jesus said, "Feed my sheep." We pray that Francis will embrace the Church's mission to convert the world, and not see this as "competition" or the pompous flaunt of Pharisaic peacocks that want to fan their ostentatious feathers. May he see it rather as the Church's mission of mercy, as given to us by Jesus Christ 2000 years ago. Today is Friday, the day in which we commemorate Our Lord's passion and death. As Catholics, we are still bound to either abstain from meat or rather to do some act of penance each Friday in the entire year. This is required during Eastertide - even on Friday in the Octave of Easter. Canon Law stipulated that the requirement to abstain from meat (i.e. Friday penance) was required each and every Friday of the year unless that particular Friday was a Holy Day of Obligation. 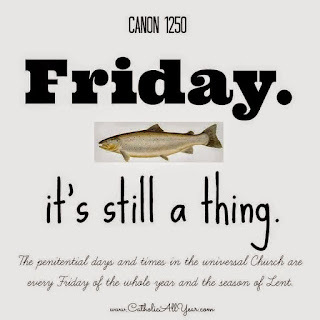 Easter Friday is not a Holy Day of Obligation and neither is any Friday in Easter. 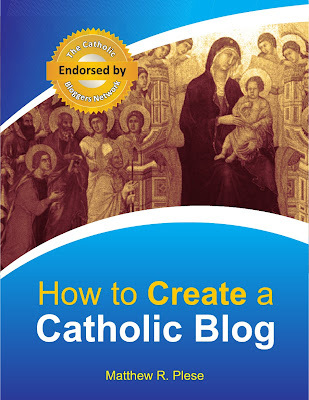 I would like to thank everyone who sent in suggestions and helpful advice to me as I traveled to Rome for Holy week. A few weeks ago I shared my itinerary, and with most plans, I didn't stick to it. Fortunately, I ended up visiting far more places than even I had planned. Sometimes breaking from the plan is for the better. 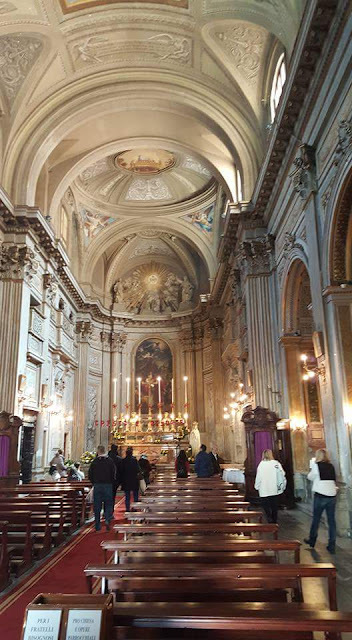 I was able to visit such a number of holy places (nearly 25 different basilicas) and I prayed for the intentions of all of my readers while there. I also visited Florence and had a brief trip to Pompeii. I am now safety back in the United States after being able to visit some of the most sacred relics: the Holy Stairs, all 4 of the Holy Doors, relics of the True Cross, the tombs of Ss Peter and Ss Paul, the chains of both of those saints, the crib in which our Lord was born, the Pillar of Flagellation, some pieces of the Crown of Thorns, the sign that hung above our Lord on the cross, the bodies/tombs of many saints including St. Philip Neri, St. Helena, Blessed Fra Angelico, St. Pius X, St. Catherine of Siena, the head of St. Agnes, the skull of St. Valentine, and so much else. Over the next few weeks I will be sharing some of my experiences and photos from this trip. Please stay tuned! Today is the feast of the great Dominican missionary St. Vincent Ferrer. Vincent Ferrer (1350-1419) was a great Spanish Dominican missionary and master of souls. It is estimated that through the labors of St. Vincent, over 25,000 Jews were brought into the Church. He also brought in numerous converts among the Islam Moors. In addition to carrying on an inspired apostolate in Spain, he preached to thousands of persons in France, Switzerland, and Italy [By his preaching and miracles, he converted thousands of sinners and heretics.]. He pleaded so eloquently for penance that he was known as the "Angel of the Judgment." 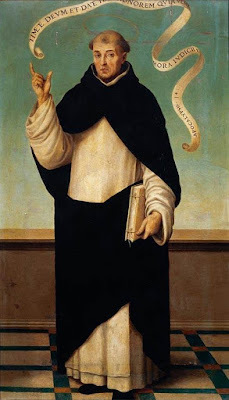 The Roman Martyrology says of him: "At Vannes in Brittany, St. Vincent Ferrer, of the Order of Preachers, and confessor. He was mighty in word and deed, and converted many thousands of infidels to Christ." This noble Dominican is an example for us all. Please read the story of his noteworthy life at Nobility.org by clicking here. O God, who didst vouchsafe to glorify Thy Church by the merits and preaching of blessed Vincent, Thy Confessor: grant to us Thy servants that we may be taught by his example, and delivered by his patronage from all adversities. Through our Lord . . . Note: This article is taken from Society of St. Vincent Ferrer. (1) Creation - According to very ancient sources, March 25th is the day of creation. Contrary to the false science and errors of evolution, Scripture and Tradition teach that God created instantaneously (simply by speaking) and out of nothing. There are also traditions that relate March 25th was the day on which Adam and Eve were created and therefore also the day on which Adam and Eve committed the Original Sin. (2) Incarnation - It was on this same calendar day that Jesus Christ assumed our human nature. March 25th is the day of the Mysteries of the Annunciation and Incarnation. On this day, God sent the archangel Gabriel to the Virgin Mary and she gave her fiat. As we well know, Christ was then born nine months later, on Dec 25th. (3) Crucifixion - We read in the Roman Martyrology that March 25th is also the day on which St. Dismas, the good thief, died. This corroborates the ancient and venerable tradition that Our Lord was crucified on March 25th. In other words, the calendar date of the original Good Friday was March 25th. St. Irenaeus explains that it is eminently fitting that on the same day which the fallen angel seduced the virgin Eve, so on that day the archangel Gabriel spoke the words of salvation for all mankind to the Virgin Mary. He adds that on the same day that mankind was lost on account of the fruit of the forbidden tree, so on that day Christ hangs on the tree of the Cross and wins salvation for mankind. St. Irenaeus is the most prolific writer among the early Church Fathers. He was the spiritual son of St, Polycarp, who in turn was ordained and taught by St. John the Apostle. He emigrated from the East to Lyon (Gaul or France), advised several popes, was consecrated a bishop, fought against numerous heresies, and was ultimately martyred for the Faith. The popes of his day considered him a most reliable source for Apostolic Tradition and on that basis accepted his counsel on several important matters. 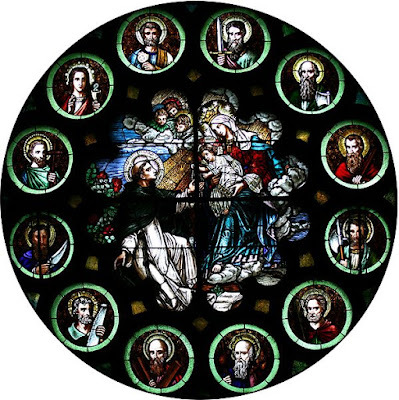 Thus, in the writings of St. Irenaeus, we have a very important and trustworthy witness; and we are in direct contact with the traditions taught by the Apostles themselves. 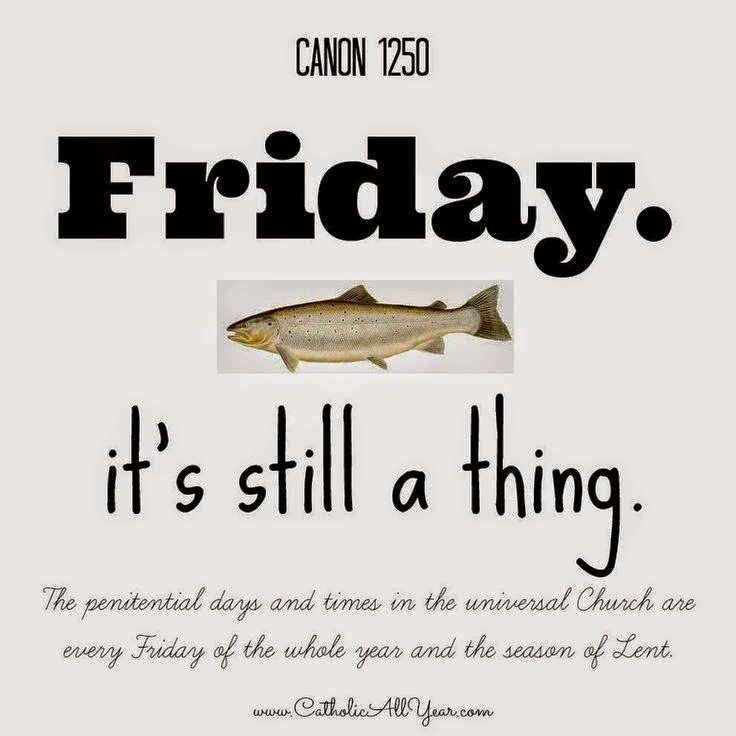 (In fact, St. Irenaeus writes that it is an apostolic tradition that Our Lord was conceived on March 25th) Those interested can read a bit more about this from Dom Guéranger's The Liturgical Year for March 25, linked here. (4) Other Events. Traditions that come to us from antiquity also claim that many other key events in salvation history occurred on March 25th. 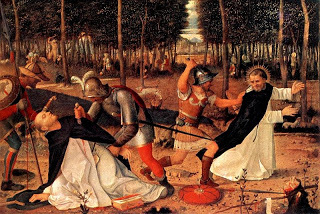 For example: Cain slaying Abel, Melchisedech offering bread and wine in the presence of Abraham, Abraham's offering of Isaac, and the Crossing of the Red Sea. If this subject interests you, The Lepanto Institute has an article that goes into more detail and it can be read HERE. Let us consider the providence of God behind these remarkable events and respond by cooperating as much as we possibly can with His grace.